That's all from us today - thank you for joining us. 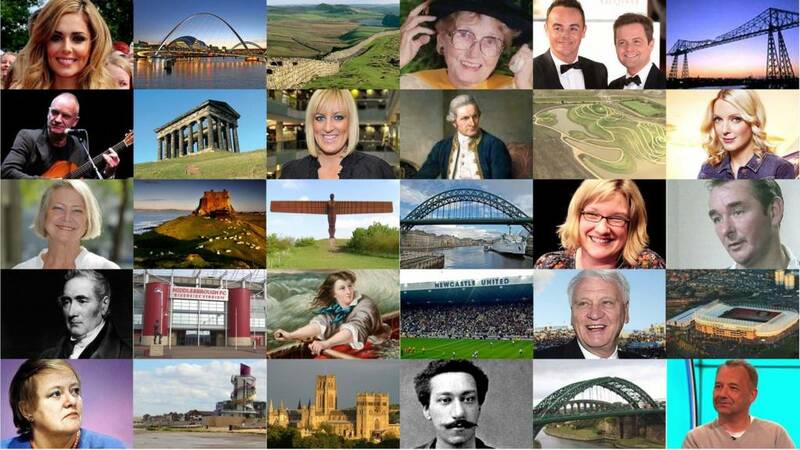 You can stay in touch with the latest news overnight on BBC Tees, BBC Newcastle, Look North, and online. If you've got a story or a picture you'd like to share with us you can tweet us @BBCNewsNE, email or contact us via Look North's Facebook page. We're back tomorrow from 08:00. A taxi driver has been asked to remove festive car stickers which he says spread Christmas cheer. Heavy machinery on the back of Alan Austen's lorry struck a pedestrian bridge on the M20. The new Durham chairman Sir Ian Botham has landed another role. He has been appointed president of League One football club Scunthorpe United. The 62-year-old former England all-rounder had a brief career as a footballer, back in the days when professionals were allowed to play both sports and featured for The Iron 11 times between 1980 and 1985. He took over as chairman of Durham Cricket Club earlier this year after the side was relegated by the ECB over financial issues. A lorry driver from Darlington has been spared jail after he admitted dangerous driving by crashing into a motorway bridge and causing £1.5m of damage. Heavy machinery on the back of a lorry being driven by 64-year-old Alan Austen struck the M20 footbridge on August 27 last year. 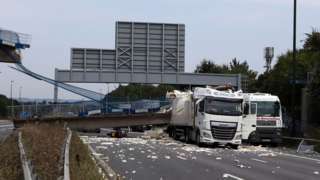 The impact caused the bridge, between junctions four and three, to collapse on to the London-bound carriageway at Ryarsh in Kent. No one was killed but a pensioner broke three of his ribs when he fell off to avoid the fallen bridge. Austen began to shake as Judge Philip Statman handed down the 12-month suspended sentence that included 200 hours of unpaid work which he must complete within a year. Austen must also pay £500 in costs and was banned from driving for three years. A19 County Durham southbound severe disruption, between Shotton Bank and A181. A19 County Durham - Slow traffic and a lane closed on A19 southbound in Shotton between the Shotton Bank junction and the A181 junction, because of a broken down vehicle. Student becomes one of the youngest councillors in the country. Jack Cunningham may only be 19 but he's already got his sights set on a future in politics. He's just been elected as a councillor for Hetton Downs ward in County Durham. This means he's now one of the youngest councillors in the country. He's going to busy though as he's currently studying politics with sociology at the University of Sunderland. You're only little and you've just been involved in a car accident. What would make you feel better? A teddy? Police officers have been giving out cuddly toys to young children during a pilot scheme that just covered Newcastle. It's proved so popular that now all Northumbria Police patrol cars will have knitted "trauma" teddy bears on board just in case any little passengers need a cuddle. "This is a really fantastic scheme that has already had a number of success stories in Newcastle during the pilot." 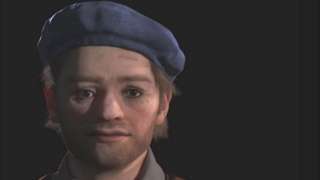 The Scottish soldier's skeleton, dating from 1650, was found in a mass grave near Durham Cathedral. Row, row your boat very quickly across an ocean! They've done their training. They're on the start line. Not long before their challenge begins. Three friends from Northumberland and Cumbria are taking part in this year's Transatlantic rowing race. The Four Oarsmen will be rowing more than 3,000 nautical miles across the world’s second largest ocean as part of the Talisker Whisky Atlantic Challenge. Once they leave the shores of La Gomera in the Canaries, the elements, ungodly sleep patterns and stormy seas will slowly impact on them both physically and mentally. Doctor Who fans who can't wait until 25 December to see the annual Christmas special can enjoy a preview tonight in Hartlepool. The last few moments will still be kept a surprise until the BBC One broadcast on Christmas Day. The ticket-only event is part of a Christmas grand tour of the North. This year's episode will feature Peter Capaldi as the Doctor for the last time. Sam Allardyce believes that his players had the drive to grind out the 1-0 win over Newcastle and is baffled as to why Everton conceded so many goals with this defense. Can you guess the beach where this lovely shot was taken this morning. If you've got any photos you'd like to share with us - get in touch. You can tweet them to @BBCNewsNE or post them via Look North's Facebook page. 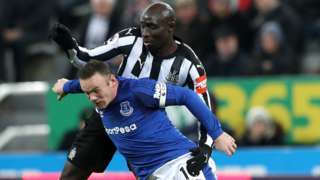 Wayne Rooney's solitary goal is enough for Everton to win their first Premier League away game since January against luckless Newcastle. Mike Ashley's Sports Direct has seen half-year profits dented as the retailer signalled sales in the UK fell following store closures, reduced online promotions and as a result of the weak pound. The retailer said pre-tax profits plunged 67.3% to £45.8m in the 26 weeks to October 29, which the Newcastle United owner put down to "transitional factors such as the disposal of assets". The retailer said underlying profits were still healthy - up 22.9% to £88m. Mr Ashley also said its new flagship stores, designed to move the discount brand up-market, were trading well. Lead thieves have caused damage estimated at £30,000 to a County Durham church. Durham Police said St Edmund's Church in Sedgefield was targeted by metal thieves who caused damage to the roof and the building's interior. The family of a toddler rescued from his burning home have hailed the heroes who saved his life.